If you're a hamster enthusiast, you may be aware these wee rodents have a major penchant for fresh vegetables and fruits. The little guys have healthy tastes. Although many veggies and fruits are appropriate for hammies, exceptions exist. Spinach leaves are an example of a suitable snack for hamsters. The basic foundation of an appropriate hamster diet should consist mostly of commercially produced hamster mix full of pellets, seeds, wheat, cracked corn, oats and other elements. But fresh fruit and vegetable supplementation is key. The ASPCA recommends offering your tiny pet fresh items roughly a couple of times a week or so. The ASPCA advocates regularly feeding spinach leaves, among other types of vegetables, to hamsters. 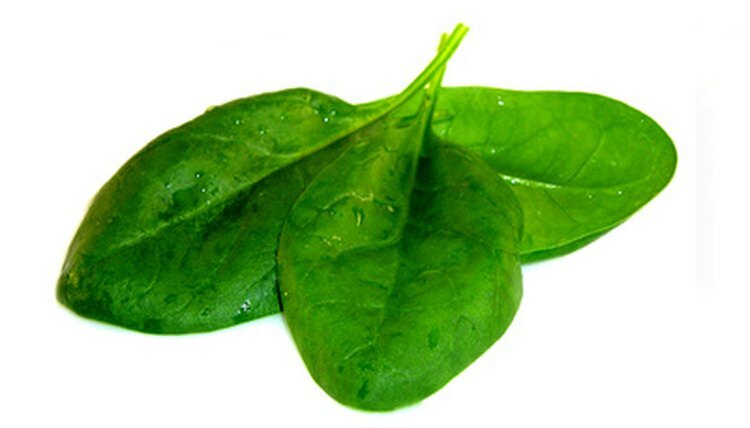 Be sure to keep the portion of spinach very small -- think a leaf or two. If she leaves some, remove it. Make a point to routinely and thoroughly check your hamster's cage for remnants of old food items, since hamsters hoard food. Spoiled foods are a major no-no, whether spinach leaves, apples or anything else. Exhaustively rinse vegetables before you offer them to your hamster. Although spinach is safe and nutritious for hamsters, it may trigger gas in some, so watch out. If you suspect the spinach element of your pet's diet is contributing to gassy symptoms, you may want to substitute it with another safe vegetable option. Spinach leaves aren't the only healthy veggie choice for your hamster. Apart from spinach, other hamster-friendly varieties include broccoli, carrots, lettuce, peas, green beans, celery, asparagus, squash and cucumber. Slice veggies into small and manageable bites, feeding about a teaspoon per snack. Before bringing anything new into your pet's diet, seek the approval of your veterinarian just to be certain. When your hamster's health is concerned, you can never be too cautious.